If you would rather not read this post, but wish to help, please scroll down to find a continuously updated email for you to send to Norway’s involved officials regarding the extensive removal of wolves this season. If you are on Twitter, please find automated tweets at the bottom of this post. Due to a dwindling population of wolves, there will be no licensed wolf hunt this year in Sweden, while in Norway state wildlife authorities have proposed a hunt of almost 75% of Norway’s critically endangered full-time resident wolf population (30% when considering wolves occupying territory at the border with Sweden, and 50% if the Ministry of Climate and Environment authorizes the killing of all wolves living in the wolf zone). During the 2017-18 winter season, 115-116 wolves were detected in Norway, compared to 105-112 the prior winter. From this total, 70-71 of the wolves were full-time residents of Norway, while 45 of them were on both sides of the national border against Sweden. Of the 70-71 whole-Norwegian wolves, 27 were killed by legal felling and one was found dead for another reason. Another 13 wolves have been registered as killed since April 1st. This year, the Minister of Climate and Environment, Ola Elvestuen, is allowing the slaughter of 26 wolves during the 2018-19 hunt. The season began on October 1st and does not end until March 31st. However, the Minister has yet to decide the fate of three wolf packs (17 wolves in total). These packs are living in the so-called “wolf zone,” an area that includes just 5% of the territory of Norway and is/was meant to provide better protection for the wolves than in the rest of the country. The regional wildlife management board has decided to exterminate these packs. The board apparently wants no part of a wolf zone nor a wolf reserve. Seems they prefer a cleansed “natural environment,” free of any balance the predator would bring to the region. The final decision, and fate of these 17 wolves, now lies in the hands of the Climate and Environment Minister. Should the Minister uphold this decision, then the total number of wolves that can be slaughtered in Norway this autumn/winter will total 43; one half of the total population (75% of full-time resident wolf families. International examples show that culling of wolves does not increase the tolerance nor acceptance towards wolves among the general public. As many neighbouring countries can prove to Norway, the best way to find a solution to a sustainable coexistence between people and wildlife is the usage of proper livestock protection measures. Just last month, the German province of Lower Saxony published the data showing wolf packs increase by a third, while damages decreased by half. Wolves and other large carnivores bring back a balance to the ecosystems in Europe. As the wolf is red listed, classified as critically endangered in Norway, we find this proposal to eradicate nearly 50% of the country’s wolf population appalling. The Norwegian government is acting against international obligations under the Bern Convention, as well as breaching Norwegian law and decisions made by parliament. Wolves, highly social, family oriented, intelligent non-human animals are slaughtered like “vermin” yearly to levels which can easily lead to the complete extermination of Norwegian wolves. Please send yet another email or letter to the Prime Minister of Norway and to the Minister of Climate and Environment, expressing your outrage with the decision to kill 26 wolves and urge the Minister not to allow the slaughter of the 3 wolf packs within the wolf zone. Kongensgate 20 P.O. Box 8013 Dep. I am writing to express my disapproval of the extensive, government sanctioned, cull of wolves in Norway yearly, and urge the Norwegian government to demonstrate to the international community that it is willing to fulfill its obligations to protect the already decimated wolf population on Norwegian territory for future generations. As the wolf population is red listed, classified as critically endangered, I find the decision to eradicate a large percentage of Norway’s resident wolves again, this year, appalling. The Norwegian government is acting against international obligations under the Bern Convention and obligations linked to the CBD, and the Nature Diversity Act, as well as breaching Norwegian law and decisions made by parliament. Wolves, highly social, family oriented, intelligent non-human animals are slaughtered like “vermin” yearly to levels which can easily lead to the complete extermination of Norwegian wolves. It is disturbing to learn that after having killed 31 wolves (including two healthy wolf packs) last year, the regional wildlife management boards proposed the removal of another 43 wolves in Norway this season, including the extermination of three wolf packs within the wolf zone – Slettås, Mangen, and Hobøl). The proposal contained no biological assessments related to legislation, or professional assessment of actual consequences. There were also no assessments regarding the population target and whether this could be realized next year, as required by the regulations and the law. The Ministry of Climate and Environment in Norway authorized the removal of up to 26 wolves outside the so-called wolf zone this autumn and winter, and in December, approved the removal of the Slettås pack within the wolf zone, despite the fact that Norway’s breeding pairs have been reduced with last year’s hunt, compromising future potential for reproduction. It has also been documented that the number of alpha wolves in Norway have declined, further diminishing the possibility of reaching the targeted population. Conversely, Swedish authorities have not allowed hunting of any wolves this winter due to the reduction of the wolf population by 26 percent on the Swedish territory since 2014/2015. According to reports, most wolves that are found outside the wolf zone in Norway are wandering wolves originating in Sweden, and vice versa, most wolves that are born in Norway and leave their pack to find their own territory, travel to Sweden. In light of this fact, it is inconceivable that Norwegian authorities act in such stark contrast to the decision by the Swedish authorities, markedly so, as the government claims to use the Scandinavian wolf population as the basis for its decisions. It is also important to note that Norwegian authorities, basing their management of the wolf on the population goal of 4-6 wolf litters per year as the maximum allowed, has no basis in scientific assessments of what is actually needed to keep the wolf population from becoming extinct. Further, the degree of inbreeding is steadily increasing due to extensive removals yearly; replenishing alpha or breeding pairs is is forced to consist of existing litters, as was the case with the wolves in Østmarkareviret; this year’s breeding litter is the result of the son breeding with his inbred mother (daughter of a father-daughter-mating), significantly reducing survival for the puppies. It is especially disconcerting to understand the reasoning behind killing healthy wolf packs that are established within the wolf zone and that have caused no or only minimal damage to sheep farmers. As wolves are territorial animals, the presence of non-problem wolf packs will have the effect of preventing other wandering wolves from moving into the area, reducing the risks to livestock. Hunting as a pack enables wolves to specialize on their natural prey – deer and in some cases elk/moose, and also considerably reduces the risk of wolves targeting domestic animals, such as sheep. In addition, large carnivores are necessary for maintaining forest ecosystem health. A policy that is aimed at keeping the critically endangered wolf permanently on the verge of extinction, and as weak as possible, does not align with Norway’s green and humanitarian principles. Norway’s decision to cull wolves yearly to dangerously low levels is especially stunning in light of the ongoing mass extinction of species on Earth – one of the fastest in the history of the planet. As you know, we are currently experiencing the worst spate of species die-offs since the loss of the dinosaurs 65 million years ago. Although extinction is a natural phenomenon, it occurs at a natural background rate of approximately one to five species per year. Scientists estimate we are now losing species at 1,000 to 10,000 times the background rate, with literally dozens going extinct every day. Now, more than ever, it is essential to preserve large carnivores, and their role as a keystone species. The decision to remove large percentages of wolves found on Norwegian territory will, in all likelihood, also reduce the Scandinavian wolf population under the threshold of 300 animals that has been set by the Swedish authorities as the absolute minimum. This scenario would demonstrate to the international community that Norway is failing to uphold its responsibility to protect endangered wildlife found on its territory. I encourage you not to be guided by short-term economic and political interests or unfounded fears or concerns, especially as the law in this case stands on the side of nature and wildlife. I urge the Norwegian government not to relent to the pressure of certain interest groups requests to remove large numbers of wolves yearly, rather, affirm its commitment to the law and to preserving biological diversity and respecting wildlife. 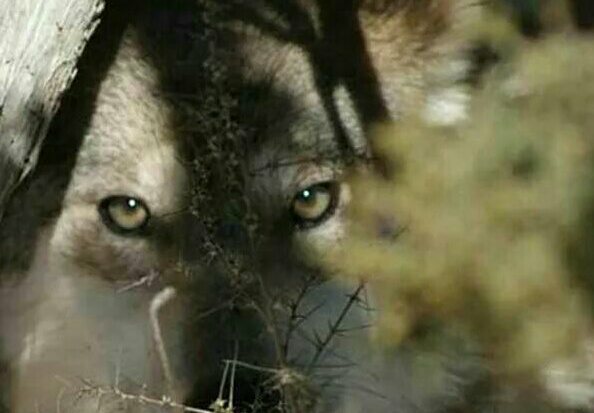 I ask you to stop the hunting of wolves within the area designated as the wolf zone this winter, and reconsider the yearly drastic removal of wolves outside of the wolf zone. Please post a polite and thoughtful comment on the following Facebook pages, feel free to use any of the images here, from our previous blogs on Norway’s wolves, or from our page on facebook. Venstre Facebook page (liberal political party of which Ola Elvestuen is a member. 1A. 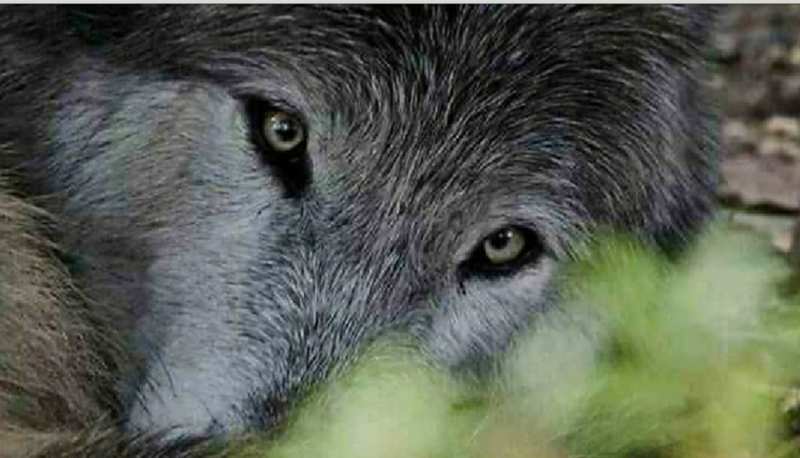 Take action for #Norway’s wolves. The fate of 3 wolf packs (17wolves) has yet to be determined. 3. La ulven leve! STOPP utrydningspolitikken NÅ! 12. Where have all the #wolves gone. The forest weeps in silence. Thank you for being a voice for Norway’s wolves. Any updates will be posted at the top. All In the Shadow of the Wolf posts regarding wolves in Norway can be found here. Visit our Creative Arts and Work shop here, or tap image above for Christmas greetings, 2019 calendars, t-shirts, wall art and a variety of home decor and unique gifts. Up to 100% of our profits are donated to organizations working towards the protection of wolves and our environment. and i passed your address on to others. Thank you for your help Anneke! I sent emails. TY for the info. Sent my comments. Thanks for bringing this to our attention. How backwards can a government of a “1st.” world country be? Thank you very much, Bearly. Pathetic, isn’t it. I sent those emails and they came back from those addresses as undeliverable. Those a-holes. I had no problems sending mine. Both were received. Did you send them separately or with Ola Elvestuen as a Cc? Perhaps if you sent them together, they were not separated with a comma. Yours is the first problem with this. Terribly sorry, please try again and let me know if you succeeded. Karen, I checked those email addresses again, they are correct and functioning fine. Please check the addresses that bounced, they must not have been separated with a comma. Please try sending them separately or with Ola Elvestuen as a Cc. Emails sent! Keep up the good work.